Cable seal manufacturer Roxtec has made a series of new appointments to drive growth across rail, infrastructure, heavy machinery and nuclear markets. The £6million turnover cable and pipe sealing specialist has expanded its UK team of 20 full-time staff with four new starters. Roxtec’s products protect people and assets from multiple hazards including fire, flooding, explosion and electromagnetic disturbances. Chris Anderson joins the firm as Data Centres, Life Sciences and Telecoms Manager while Will Melvin secures the role of Nuclear and Process Manager. Simon Ewing has further been appointed as OEM and Heavy Machinery Manager and Ric Kirman as Rail Infrastructure Market Manager. Roxtec UK Managing Director Clive Sharp said the new appointments bring greater capacity and enhance the company’s skills base. 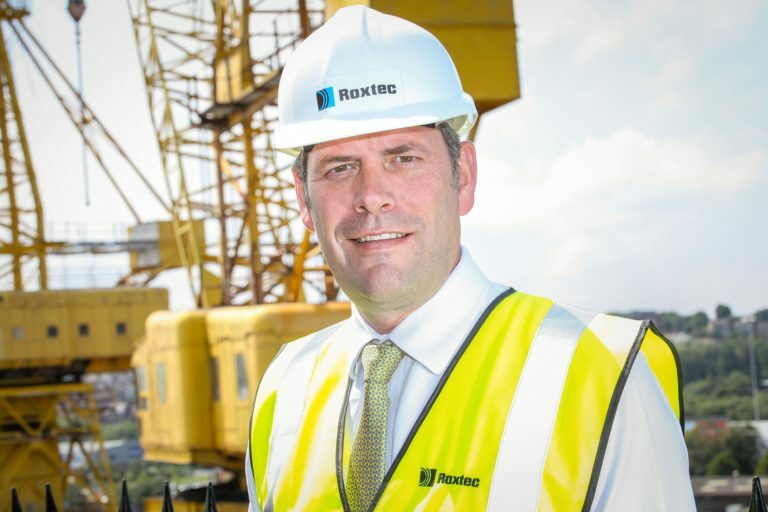 “Roxtec UK is investing heavily to capitalise on major opportunities we have identified across specific markets in the UK and internationally,” he said. “These new appointments increase our full-time staff base by almost 25pc sending a strong message to the marketplace about our desire to grow. “Nuclear and process industries are key markets for Roxtec UK. We’ve experienced strong demand in recent years working with EDF Energy to safeguard equipment at the Dungeness B nuclear power station. Internationally, we have supplied the HABOG nuclear interim storage plant in the Netherlands, as well as a number of nuclear sites in China. Domestically, the market looks positive with the UK government likely to continue investing in nuclear over the next 20 to 30 years. We are keen to build on that momentum engaging with more contractors, designers, engineers and other stakeholders. “Roxtec UK is also building a strong track record in the rail sector offering complete design and engineering services through to installation training and inspection support. We have delivered multi-cable transit systems for the London Underground and designed and manufactured heavy-duty cable seal solutions for Network Rail’s London Bridge railway substation. Mr Sharp said the safety seal manufacturer is also targeting infrastructure markets including data centres, labs and cleanrooms. “Roxtec delivers specialist support for industrial construction within pharmaceutical facilities, hospitals, micro electric plants, food and beverage production areas, plus laboratories, clean rooms and contamination-controlled environments,” he said. “Our products have been used in eight isolation rooms at the Royal Victoria Hospital, in Belfast, and on the £200m Medical Research Council molecular biology laboratory in Cambridge. “The key benefits of our products include flexibility, durability and reliability. For example, we make it possible to route multiple cables and conduits of different sizes through openings in buildings or equipment, while also adding cables at a later stage – without making new holes. Roxtec was founded in Sweden in 1990, with its UK base in Bury, Greater Manchester. It is now the global leader in the manufacture of innovative cable and pipe transit systems, supplying many of the world’s biggest firms. It is active in 80 markets. Roxtec’s products are designed to seal cables and pipes and are used to protect people, buildings and equipment from multiple hazards. Its key market sectors include Marine, Oil and Gas, Telecoms, Construction, Power (generation, distribution and transmission) OEM (e.g. trains, engines, motors, generators) and the Process Industries. Roxtec has a Triple-A credit rating and is actively expanding into new areas offering innovative and safe sealing solutions to a variety of industries.